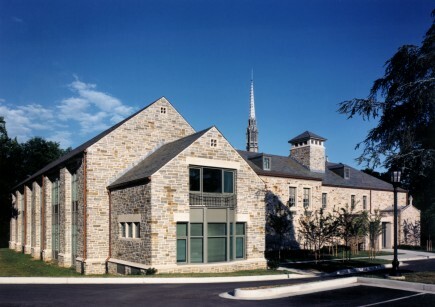 The Diocesan Center houses the staff, parish offices, archives, and a caretaker’s apartment for Maryland’s Episocpal Church. 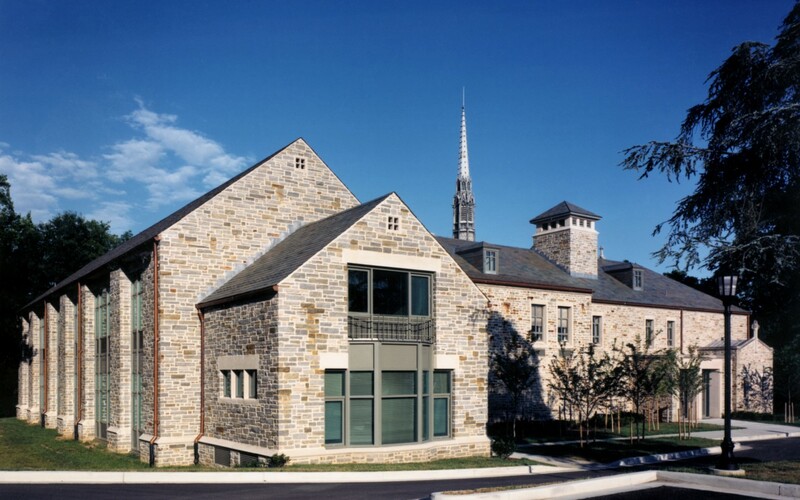 An outreach program for the Maryland Congregation is supported by a kitchen and conference center, classrooms and offices for Social Ministries. The Diocese of Maryland is progressive in its social programs and ministry, but is mindful of its heritage as one of the oldest Episcopal Communities in the United States. The design recognizes this relationship through the use of contemporary detailing, fenestration, and transparency while making a visual and formal connection to the adjacent gothic revival Cathedral. Addressing a major concern of the client, the design also incorporates a variety of energy saving features as well as low-maintenance, long life materials.